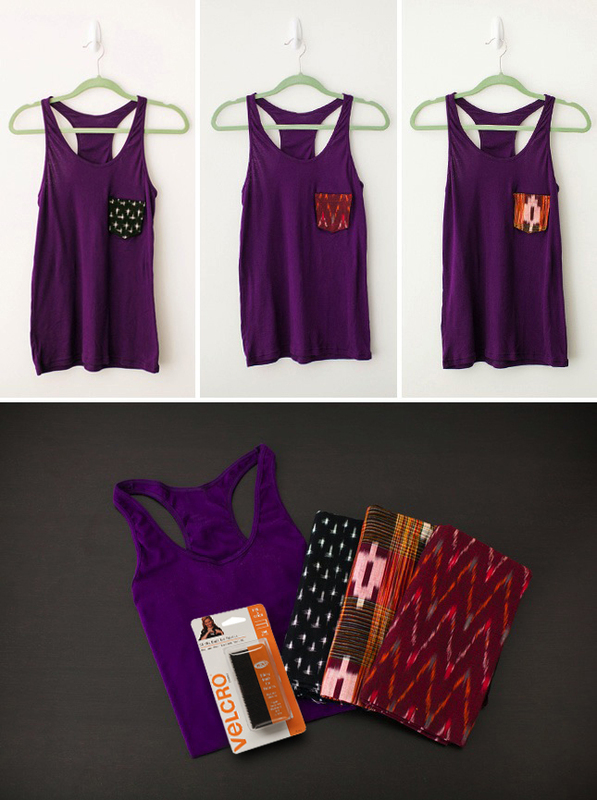 As basic as they are, we’ll never get over how convenient pockets can be. The trend of including them in skirts and dresses has been a huge win for fashionable ladies, and it’s actually pretty easy to add them to your tops as well. 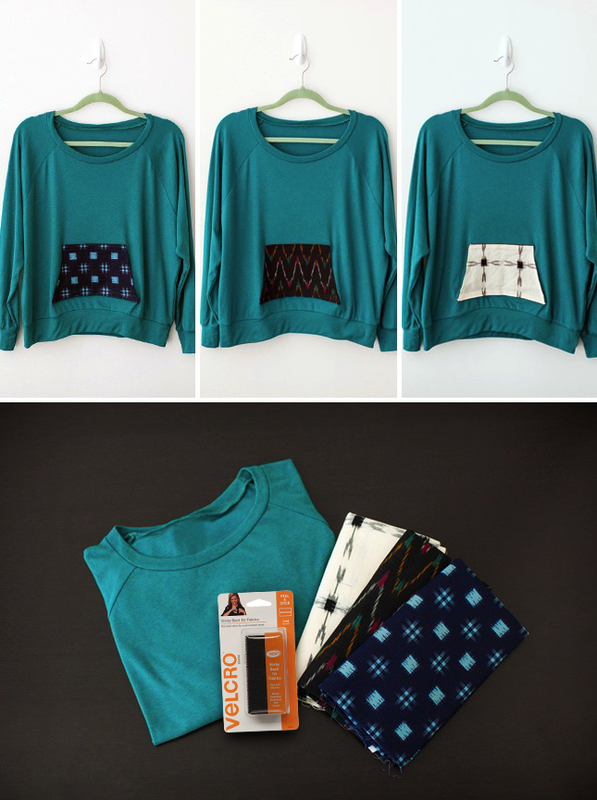 We scouted out a few gorgeous textiles and paired them with basics from American Apparel to create our own interchangeable pocket tops. Read on to find out how! 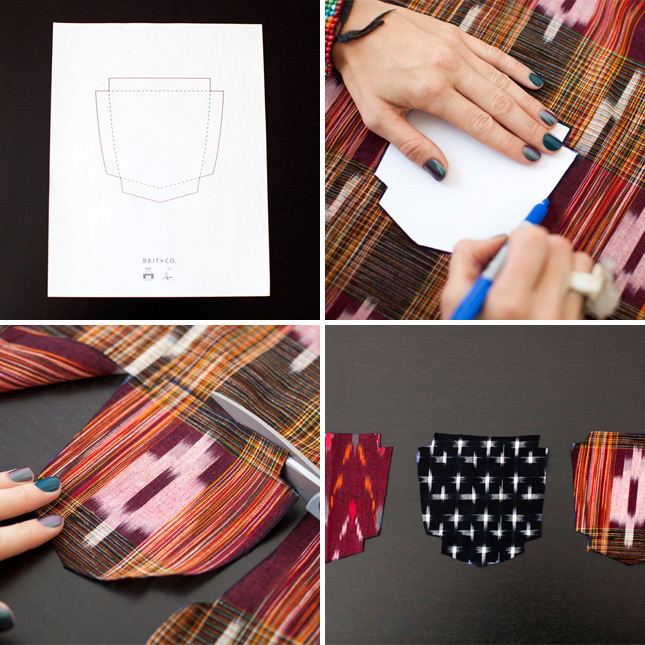 The materials for this are minimal, but the sewing machine is crucial. 1. Pocketed Tank: This look screams summer festival to us, especially because you can stow a little bit of cash and even a card in the pocket if you need to. With this one, the pocket closes at the top. 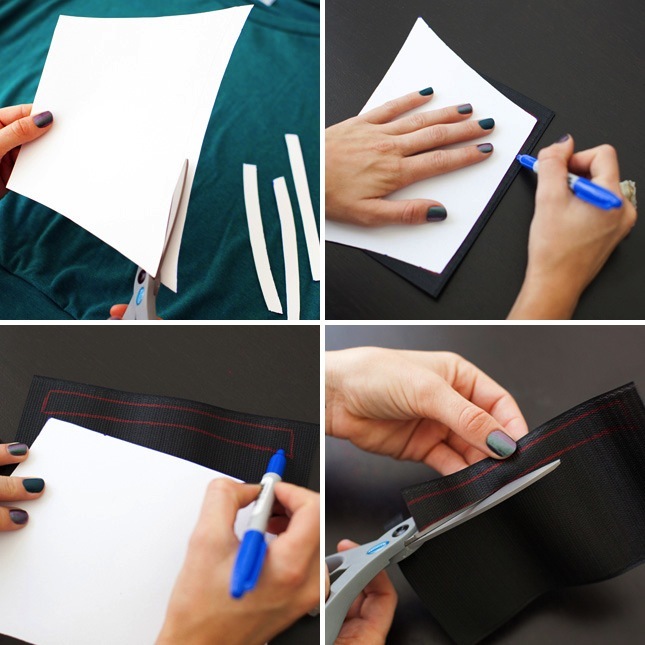 Download and print our shirt pocket template. Trace into your fabric and cut out. Take that same template and cut off the seam allowances on all sides. Trace onto VELCRO® Brand Attach-A-Patch® tape. Cut out the pieces so that they’ll fit together nicely on the tank. Lay out on the tank and sew the hook side right on. Now back to that pocket. Fold the seam allowances over onto the pocket, take the other side (loop side) of the VELCRO® Brand Attach-A-Patch® tape and sew. Place on your tank top, and you’re done! How cute and handy is that? 2. Pocketed Sweatshirt: Sometimes it’s not quite hoodie weather, but you could use the comfort of a pocket in a summer weight sweatshirt. We went with cool tones on this one. 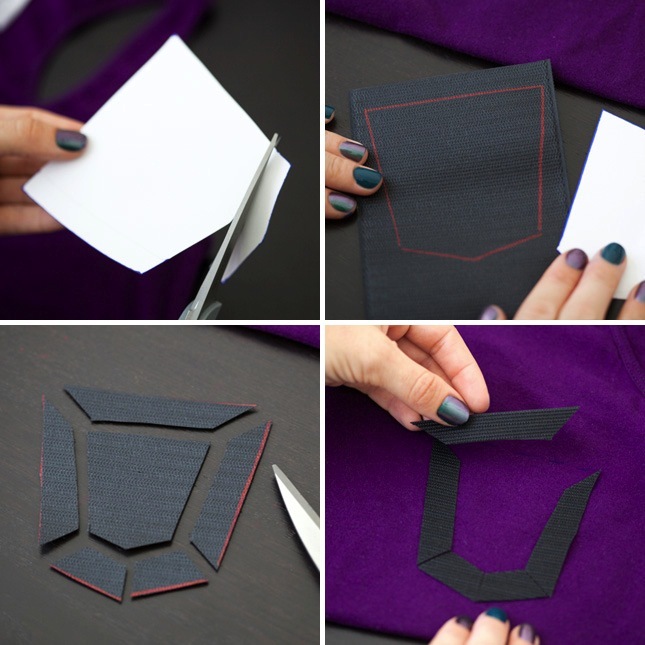 Trace your sweatshirt pocket template onto fabric. The hoodie pocket won’t quite fit onto a standard piece of paper so we printed it in two halves. 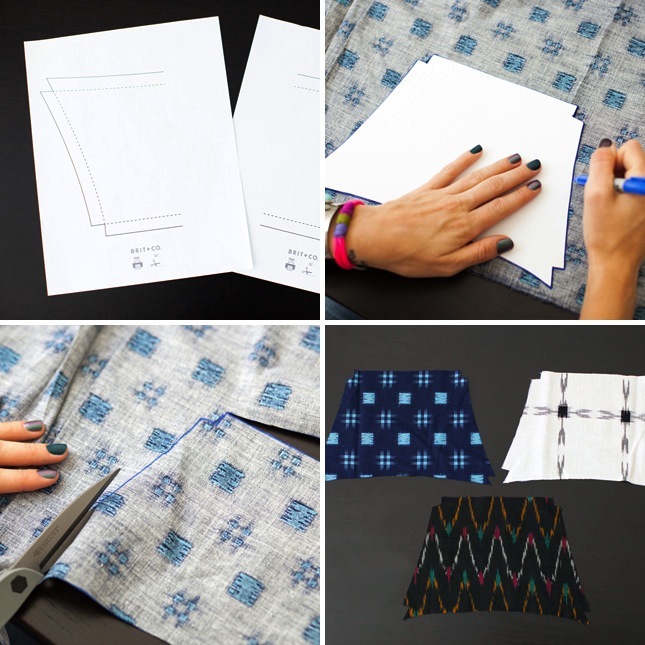 Cut out the fabric and repeat for as many pockets as you’d like to make. Now, cut the seam allowances off the pocket template and trace into VELCRO® Brand Attach-A-Patch® tape. You’ll probably need to do this in a couple different sections since this pocket is larger than the tank. Sew the hook side onto the sweatshirt. 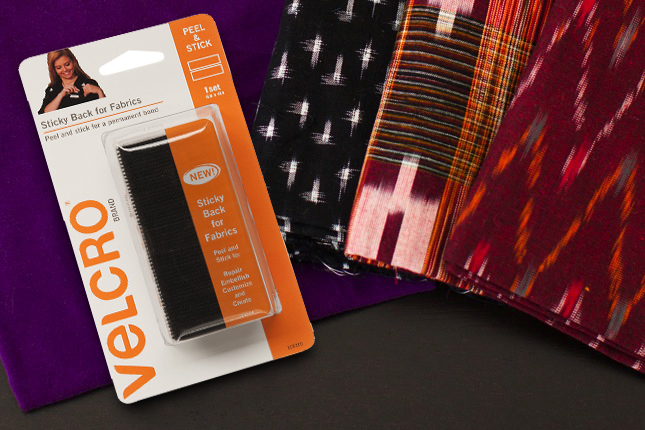 Iron the seams on your pocket down and get the loop side of your VELCRO® Brand Attach-A-Patch® tape ready to go. 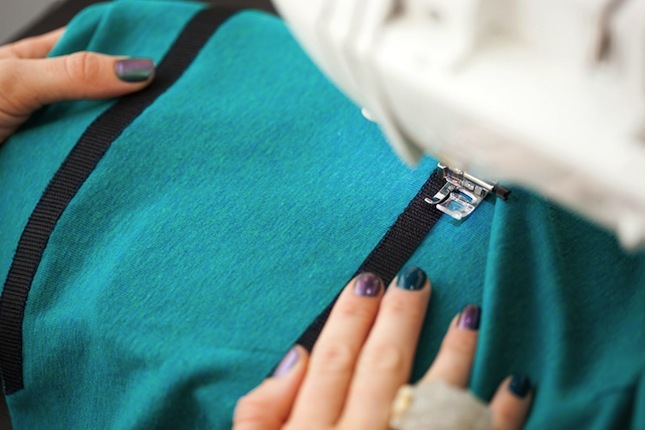 Sew it right on there, creating clean seams in the process. Et voila! Another adorably pocketed garment. Doesn’t it look cozy?